OPUS Merriweather, the bold, multi-faceted festival that combines art, sound, technology, and cuisine in a surreal sensory journey, returns to Merriweather Park in Symphony Woods on Saturday, October 13, 5 p.m. to 11 p.m.
Last year, OPUS 1 dazzled 15,000 attendees from throughout the region with a mind-expanding display of world-class art, tech, and sound. This year, the creativity of 25 artists from 13 countries is another, not-to-miss spectacle. If imagination is the key to the future, OPUS brings us that future now. OPUS Merriweather is the place for creative minds of all ages to experience the productions of world-class artists right in the heart of Downtown Columbia. 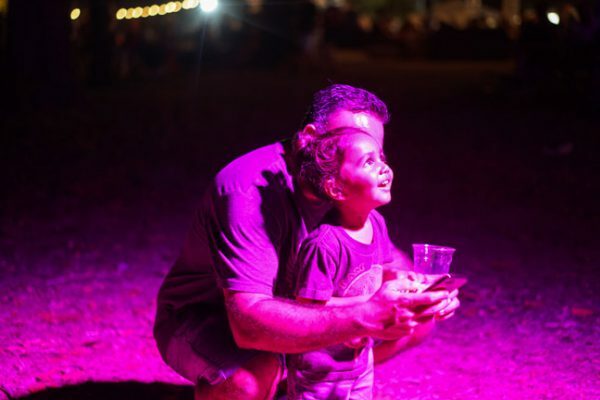 First release tickets — available now — are just $10; children under 12 years of age are free. 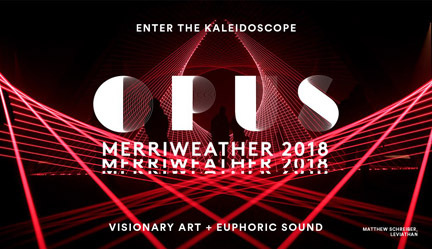 Learn more about OPUS Merriweather and reserve your tickets now at opusmerriweather.com. (Direct link to tickets).